I was perhaps eight years old, alone in the living room and dancing joyfully to Martha and the Vandellas’ “Dancing in the Streets,” when I said to myself “I love this song, and I am never, ever going to forget how much I love dancing to it.” This moment is the first I recall of being aware of the transitory nature of life’s experiences. Perhaps this perspective is best reflected, many years later, by the animal I chose to research as a graduate student and to make the protagonist in my first attempt at a novel—the mayfly. Mayflies are known as ephemeropterans (ephemeral wings) because of their adult stage. They emerge from the water and shed their last aquatic skins to become winged insects in the terrestrial world for a day or less. Our life experiences are unique to each of us—occurring in our individual coordinates of time and place. Yet it is in these points that the essence of our lives emerge; it is within that which is transitory that we find that which is enduring. 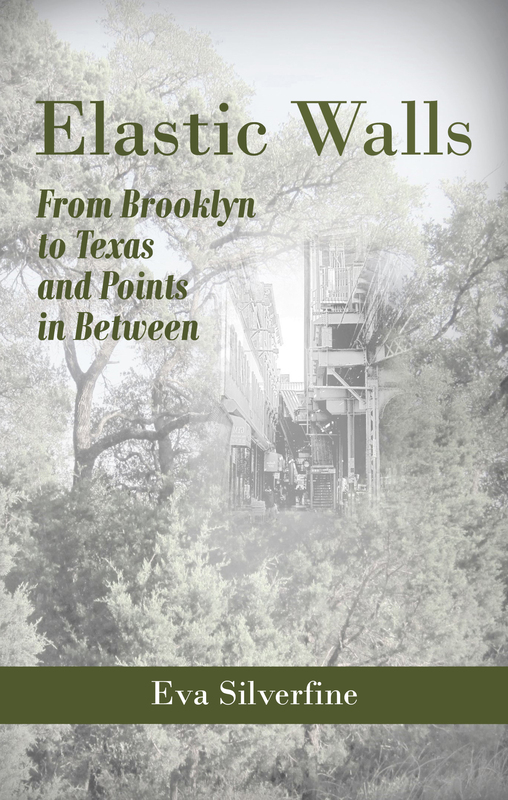 So starts Elastic Walls: From Brooklyn to Texas and Points in Between, a collection of forty-five personal essays written over a span of twenty-five years. Now available for purchase at Amazon.com. Click here to purchase. And if you are so moved, a review on Amazon and/or Goodreads would be very much appreciated. Some stars or just a few words will do. Auguri Eva!!! Congrats! i’m buying it right now!! Some essays about my mom in the book. Will answer the rest privately.